Fuel surcharges and rising ticket prices as Cathay Pacific renews levies November 2018. 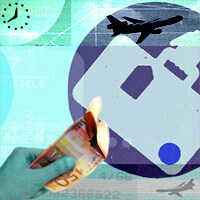 Airline fuel charges – and hidden security and insurance levies – are tightening the pillywinks in travellers' pockets. Some taxes you knew about and some you didn't. Now in November 2018 Cathay Pacific resumes its fuel surcharges. SINCE THE POIGNANT, if pointless, Charge of the Light Brigade, a succession of other charges has captured the public imagination, provoking an equal amount of tears, rage and bafflement. Thus it was, when I opened the newspaper to read the latest white-knuckle announcement, I was overcome. Those hapless travellers never saw it coming. Hope was futile. While not penned as eloquently as Tennyson’s immortal poem, the news was nonetheless devastating. 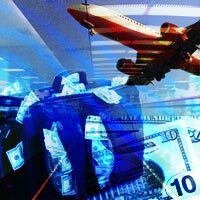 This time it was the rocketing fuel surcharge – one of a host of hidden charges and levies gradually insinuating themselves, with a troubling permanence, into your airline ticket. Never, since perhaps the Crimean war, has travel been so fraught with charges; fees – buried under clauses and sub clauses – that often overtake the cost of the ticket itself. This is no idle scuttlebutt. Call travel agents to get an air ticket quote and they’ll run rings around the issue. You’ll be quoted tempting fixed-departure fares, group consolidated fares, and APEX (Advance Purchase Excursion) fares, all pickled in the dreaded three “nons” – non-endorsable, non-re-routable and non-refundable. But how much does that ticket really cost? The prices you are quoted bear little relation to the final bill. This is because tickets are priced minus the “tax”, a devious little three-letter word that opens up a rather large can of worms. Here’s one example. In May 2008 a Hong Kong-London roundtrip on British Airways could be had for a trifling HK$3,150. Not bad at all. The catch? Taxes for everything save visiting the queen, would bring the price up to HK$5,267. No fault of BA, that. And so the tail wags the dog, and vigorously. Then oil prices dropped and surcharges became history. Enter Trump, sanctions, and usurious OPEC cartel pricing and Cathay Pacific announced further fuel surcharges from 2 November 2018 of between US$19 and US$83 for flights from Hong Kong. Some history on fuel surcharges. The worry for travellers everywhere is that hidden charges have got to a point where it is no longer just the departure tax that is being tacked on (even so, you’ll still pay a P750 “terminal fee” while departing Manila). Fuel surcharges have entered common parlance, the fees constantly adjusted, not always with rational underpinnings. Cathay Pacific’s fuel charge for Hong Kong to North America was at US$66.40 in April 2008. Compare this with Singapore Airline’s US$130 for flights from Singapore to the USA (though HK-San Francisco was pegged at US$66.40), Malaysia Airlines’ US$109 from Kuala Lumpur to Europe or the USA, THAI Airways’ US$105 fuel surcharge Bangkok-New York, and United Airlines’ US$165 for transpacific routes. Then look at Jet Airways (from India) with its fixed US$85 levy per international sector (working out cheap for Europe but dear to the Far East) and Japan Airlines’ wallet-humbling US$180 for Japan-North America. The fuel surcharge alone on JAL is the price of a cheap ticket from Hong Kong to Manila, Taipei or even Bangkok. At the opposite end of the spectrum, Emirates passengers can laugh all the way to the bank. Or can they? The Dubai-based airline does not apply any separate fuel surcharge. The charges have been incorporated into the ticket as valid operating costs, a sensible tack other airlines could usefully emulate. By June 2008 several airlines (including Cathay and SIA) had approval for a further fuel surcharge hike of 37 percent. The issue is not that passengers must be shielded from fuel surcharges. They cannot be. It's elementary economics. Travellers must share the burden. But tickets need to be quoted as a complete all-in rate. Not doing so sets up travellers for a huge sucker punch. Fuel continues to climb and, with it, airline woes. Continental Airlines, estimating an additional US$2.3bn loss in 2008 due to oil price hikes, is dropping capacity by 16 percent and trimming 3,000 jobs. That hurts. THAI Airways dropped its ground-breaking A340-500 Bangkok-New York JFK nonstop in July 2008 citing rising fuel costs. The ultra-longhaul A340-500 with limited seat numbers, once an accountant's delight, is now deemed supremely uneconomical. THAI Airways will look to sell these aircraft. The good news is that by the third quarter of 2008, with oil actually touching the magic US$50 per barrel, levies started to dip, if belatedly. Plucky low cost airline AirAsia, announced in November 2008 that it was dropping all fuel surcharges, passing on just the airport taxes and administrative fees. It followed this up with a massive free seat giveaway get-back-and-fly stimulus. This drew howls, and rightly, from budget airline Tiger Airways, which said it had never added any fuel surcharge in the first place, remaining true to its low-cost charter. Japan Airlines and All Nippon Airways cut back 33 percent on fuel surcharges 1 January, 2009. Ex-Hong Kong, the Civil Aviation Authority has approved a drop in fuel surcharge of 40-45 percent for Cathay Pacific, Singapore Airlines, ANA and Nepal Airlines. The fee as of 1 December 2008 was set at HK$108 (down from HK$196) on short-haul routes, and HK$499 (down from an eye-popping HK$832) for long-haul routes. In India, Jet Airways cut fuel surcharges on 6 December 2008 by Rs400 on domestic routes below 750km to bring the levy down to Rs1,950, while low cost subsidiary all-economy JetLite cut surcharge by Rs300 on domestic routes below 750km. For domestic routes over 750km Jet Airways has also dropped fuel surcharge by Rs400 to bring the excess fee down to Rs2,700. For passengers, fuel surcharges are just the most visible tip of the iceberg. Fly to London and your ticket will include a “security” tax. On British Airways and Cathay Pacific as an example, the security tax on a Hong Kong-London ticket was at roughly HK$896 (US$114) for economy. For some inexplicable reason, it cost substantially more to protect pampered business class passengers on the same route – HK$1,549 (US$198). The issue clearly is less about security than about how much passengers can afford to pay, the modern equivalent of a protection racket. Air passengers are fair game and fees are legion. Think in-flight insurance, baggage fees (United now charges US$25 for a second bag on domestic routes and low-cost carrier AirAsia charges for checked-in baggage), phone reservation add-ons, penalty charges for change of ticketed date (on UA this goes up from US$100 to US$150) and, in the United States, usurious fees for travelling pets that make no demands on cabin crew though pedigreed pooches may enjoy the occasional scotch and cigar at home when not playing croquet. On some smaller airlines in The Philippines, blushing passengers are weighed along with their luggage. Now that’s egalitarian. Lose weight people and don’t lug so much stuff around. In front of you is a terrifyingly small plane (that needs all the help it can get to fight gravity), not your house. Last but not least there’s code sharing wherein you might have a cheaper ticket from rust-bucket carrier A, yet fly on world-class carrier B, or the other way around. It happens all the time. Airlines call this economics. We call it gobbledegook. Charge on, Flight Brigade.